Introducing our amazing 4D Baby LIVE! This new feature that we have brought to 4D Peek a Boo will allow family members and friends across town or across the world to view your 3D/4D ultrasound session streaming LIVE from the comfort of their own computer as if they were there with you enjoying this special moment. With just a few click of the mouse, your friends and family will have the opportunity to share this momentous moment with you. Unlike most other ultrasound studios out there, we do not charge per person watching! Your family members will be able to watch this streaming LIVE so they won't miss a yawn or heart beat! Just think about how excited your loved one over seas will be when he finds out that he can watch the ultrasound at the same time as you, just as if he was right there next to you seeing your unborn baby for the first time TOGETHER! Streaming your 2D/3D/4D ultrasound session does not affect the quality of your ultrasound experience. Rather it gives you the ability to share a very special time with those loved ones who cannot be with you for this amazing experience! While your ultrasound is being performed, the images and streaming video will be streaming through the computer, onto the internet and into your love ones computers. Streaming the 4D ultrasound will not lessen the quality of the ultrasound in any way; it is just something that we use to bring our families together at times when they cannot be. If you would like to do 4D Baby LIVE! 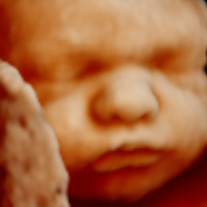 for your ultrasound, please inform us when making the appointment. 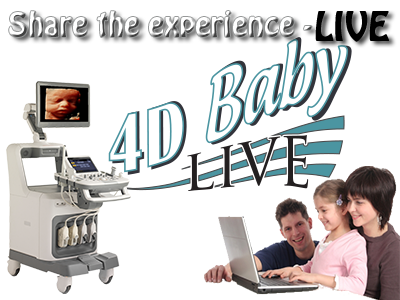 With 4D Baby LIVE you are able to view the ultrasound from not only a PC or a MAC but also from any Android device, iPhone, and iPad.